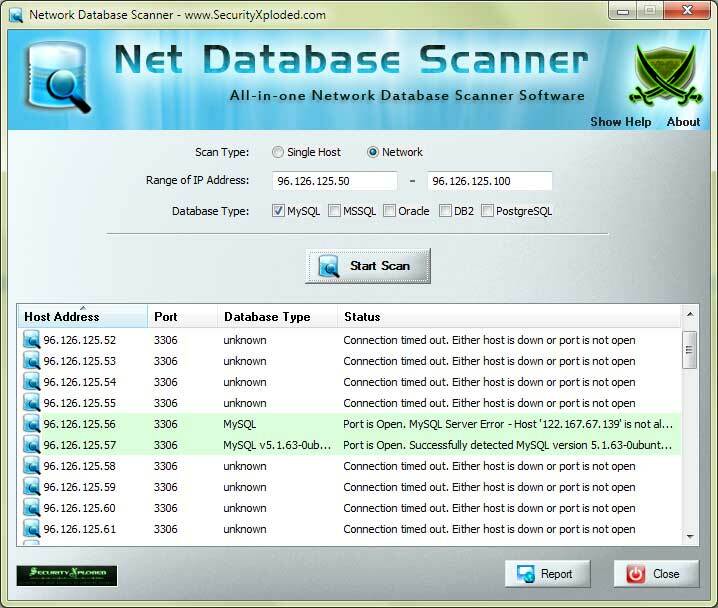 Network Database Scanner is the free software to remotely detect the type of Database services running on the network system. 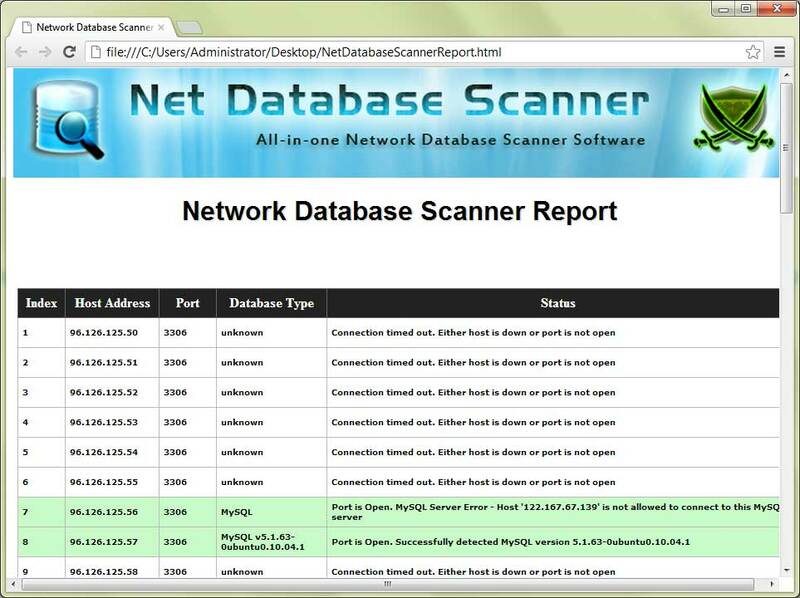 It can help you to scan single or multiple systems on your internal network or on the Internet. It uses smart timer based Connect method which makes the scanning faster than traditional approach. After the successful scan, it performs fingerprint verification for few Databases. In case of MySQL, it also detects the current database version. 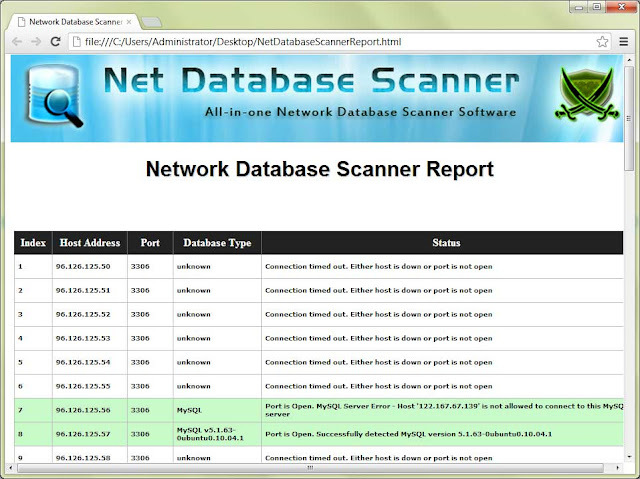 Penetration Testers can find it useful in remotely detecting the presence of database services on the network. Then based on the type of Database, they can use additional tools such as Mysql Password Auditor, Oracle Password Auditor etc to get greater results. 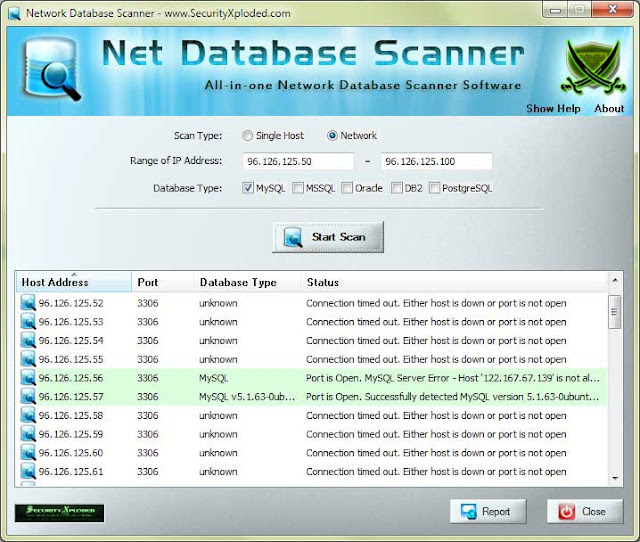 'Network Database Scanner' works perfectly on 32bit as well as 64 bit systems and supports all Windows platforms starting from Windows XP to Windows 8.